PharmD admission is both selective and competitive as there are many more applicants than spaces available in the program. An applicant’s admission materials are considered not only on their own merits, but also in comparison with the admission materials of other applicants. All selection criteria are carefully considered in the evaluation of all applicants. These criteria allow the committee to use a holistic approach in reviewing applicants, which gives more dimension and breadth to the applicant review process. Applicants should do their best to address the selection criteria as we cannot predict the level of competition for admission for any given year. An applicant can use one activity and/or experience to address two or more selection criteria. The Admissions Committee seeks to admit qualified applicants who are highly accomplished both inside and outside of the classroom, who will successfully complete the rigorous PharmD program, and who will become productive contributors to the pharmacy profession. The applicant should establish a strong academic record. We encourage students to aim for grades of B or better in all math/science prerequisite coursework. Students are strongly encouraged to repeat any of these courses in which a grade of C or below was earned. Grades in repeated courses will be averaged with all other coursework, meaning that the repeated grade does NOT replace the original grade earned in the course. The cumulative GPA includes all postsecondary courses, including repeated courses. Grades earned for all courses (even if they are not related to pre-pharmacy coursework) are averaged together to determine a cumulative GPA. We also determine a math/science GPA which includes grades earned in the prerequisite math/science coursework (Calculus, Biology, General Chemistry, Organic Chemistry and Physics). In order to strengthen the application for admission to the School of Pharmacy and demonstrate preparedness for the rigorous demands of School of Pharmacy academic loads, an applicant is encouraged to enroll in 14 – 16 credits each semester, except for the first semester in college in which we recommend that the applicant enrolls in a slightly lighter credit load of 12 – 14 credits. We also encourage students to take a math and science or two science courses per semester while completing the pre-pharmacy coursework. Solid grades are necessary, but not sufficient, to assure admission consideration. It is important to note that GPA is not the sole criterion we use for admissions. Also, an applicant’s GPA can have different meanings. The Admissions Committee looks at trends in grades, combination of courses taken per semester, total credit load per semester, and compares grades to PCAT scores. The PharmD program does not have an explicit minimum GPA requirement. The GPA range for the most recent class was 2.8-4.0. The average GPA for the most recent class was a 3.5. The applicant must be able to communicate effectively, efficiently, and sensitively in both oral and written form. Pharmacists communicate daily with many different populations including patients, health care providers, and the general public. An interview, recommendation letters, a personal statement, and application essay questions are used to assess each applicant’s communication and interpersonal skills. The applicant should exhibit a mature, motivated, and professional attitude and demeanor. Applicants should be able to think on their feet, clearly explain an idea, and problem solve. Applicants are expected to act professionally in all of their dealings with the School of Pharmacy staff. Responsible behavior, respect for others, good judgment, and cooperation are qualities valued by the pharmacy profession. Applicants should demonstrate these qualities beginning with the application process. The social world is a fascinating place, full of immense opportunities for life-long learning. Health care professionals increasingly seek opportunities to deepen their awareness of cultural and social diversity in their commitment to providing the best care to as many people as possible. No single event, course, or experience makes us culturally sophisticated or sensitive; embracing many opportunities over the course of our lifetimes allows us to more deeply understand the remarkable connections and the rich differences among people. The School of Pharmacy is committed to admitting a diverse student body, to help students prepare to become productive and involved members of an increasingly complex and diverse society. Applicants are encouraged to share information about their own unique backgrounds and experiences with the Admissions Committee (e.g. gender, racial/ethnic/cultural heritage, socioeconomic class, age, first-generation college student, geography, historical underrepresentation, multicultural and/or international experience, sexual identity/orientation). Gaining exposure to the pharmacy profession, particularly via experience or shadowing can help applicants demonstrate an understanding of and commitment to the field of pharmacy. Volunteer or work experience in other healthcare settings (such as nursing homes, hospitals, or hospice care) also can help applicants establish relevant perspectives. Similarly, experience in scientific research in a laboratory or other setting also can attest to an applicant’s strengths and talents that can be valuable in the profession. It is recommended that applicants engage in these experiences or exposures on a regular/consistent basis over a period of time. Applicants can also consider volunteer and/or work experience in other healthcare settings including nursing homes, hospitals, hospice care centers and/or research settings including labs and structured research seminars or programs. It is recommended that applicants engage in these experiences on a regular/consistent basis over a period of time. The Admissions Committee is interested in getting to know applicants as both students and people. Applicants are encouraged to engage in learning opportunities outside of the classroom by getting involved with extracurricular activities/experiences that they are interested in or passionate about. Some examples of extracurricular activities include academic and/or social clubs, student organizations, civic groups, religious organizations, team or recreational sports, and fraternities/sororities. Applicants should be prepared to tell the committee about how these experiences are unique, and/or what they have learned about themselves through their involvement in particular activities, and/or how they have developed/enhanced specific skills (e.g. communication, leadership, teamwork, collaboration, problem solving) as a result of being actively involved in extracurriculars. Service is the cornerstone of professional life for a pharmacist. Applicants should demonstrate experience and commitment of service to others through volunteer or community services activities. Applicants should demonstrate a sincere interest in helping people and a willingness to learn from others about their unique strengths, needs, and values. Applicants are encouraged to volunteer with an organization on a consistent, regular basis. The Admissions Committee expects community service & volunteerism to be part of a lifestyle, not just part of an application. Applicants will be expected to reflect upon their service experiences, with a discussion of their thoughts, feelings, ideas, and interpretations of these experiences. Applicants should be prepared to discuss what they have learned about themselves and others, and how they will apply what they have learned into their personal and professional development. There are a variety of ways to get involved in the community by volunteering on your own, as part of a class, with a group of friends, or as part of a program. Many colleges and universities have volunteer centers that can help students learn about the variety service opportunities on their campuses. 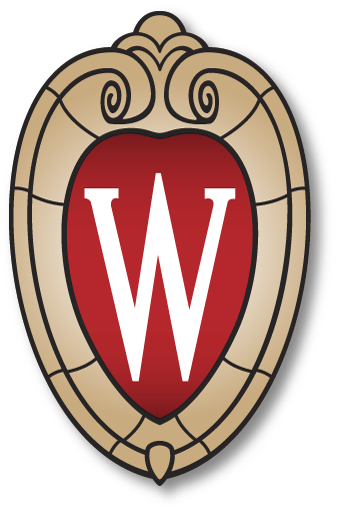 UW-Madison students can access the www.morgridge.wisc.edu which lists hundreds of volunteer opportunities located within Madison and greater Dane County community. The committee will want to know what motivates an applicant to pursue a career in pharmacy. The Admissions Committee expects applicants to have a foundational understanding of the pharmacy profession, its place in the health care system, and to have a sense of some of the issues that pharmacists face. The admissions committee will select applicants who they feel have the potential to become future leaders in the profession. The ability to initiate, lead, problem solve, organize, and plan are important skills that can be gained and enhanced through involvement in a variety of service, extracurricular, professional, and life experiences. Applicants should be able to demonstrate responsibility and/or accountability and/or accomplishments. Some examples of leadership roles include the following: executive board member; officer of an organization; captain; coach; teacher/mentor; supervisor/manager/team leader at a place of employment; organizer/initiator/creator of a project. UW-Madison students may want to check out the various leadership opportunities sponsored by the Student Organization Office including the Student Leadership Program (SLP). The PCAT is a national, standardized exam that is required of all PharmD applicants. The PCAT tests the following areas: biology, chemistry (including general and organic), quantitative ability (including calculus), verbal ability, reading comprehension, and writing. The PCAT is important and some applicants have not been admitted due to low PCAT scores. Therefore, applicants are strongly encouraged to study/prepare for the PCAT. There are a variety of test preparation methods and materials including reviewing college texts and notes in math, chemistry, and biology, PCAT study guides (available at most bookstores), PCAT courses, and a variety of on-line resources. Applicants should take their test preparation seriously and start preparing early. Please note: Applicants should register to take the PCAT only when they are maximally prepared to perform at their best. Completion of calculus, general chemistry, and at least one semester of general biology and organic chemistry is recommended. Applicants can take the PCAT more than once. The Admissions Committee will view all sets of scores but will only consider the highest set of scores for admission decision purposes. Currently there is no minimum PCAT score required. PCAT scores below the 50% will be viewed with particular concern by the Admissions Committee. The average composite PCAT score for the most recently admitted group of students was 79%. The Admissions Committee will also accept the MCAT in lieu of the PCAT. Please contact the Admissions Team for additional information.